Fr. Michael has been with St. Nicholas since 2010. A graduate of Loyola Marymount University where he studied Liturgy, he is an advocate of beautiful traditional liturgics. Prior to becoming the Rector of St. Nicholas of Myra, he worked for the Diocese as the Director of Youth Programs. Fr. Cooper was awarded the Reserve Officer of the Year by the Los Angeles Police Department for his work as a Chaplain in 2010. 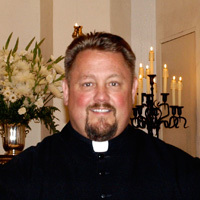 He also serves as the Chaplain for the Gooden School in Sierra Madre, CA where he teaches and offers religious services. Fr. Michael is also a member of the Society of Catholic Priests and a Fellowship member of the Society of St. John the Evangelist. 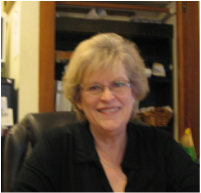 Lynn Nelson has been with St. Nicholas since 2006, serving first as Treasurer for two years and, in 2008, being hired as the Parish Administrator. She is originally from Houston, Texas, and attended the University of Texas at Austin where she earned a degree in Education. Following graduation she married and moved to Daingerfield, Texas, where she lived for 37 years. While there she was a teacher, business owner, and Treasurer of St. Charles the Martyr Episcopal Church. She and her husband Erik live in Tarzana ﻿and have three daughters, five grandsons, two dogs and two cats. 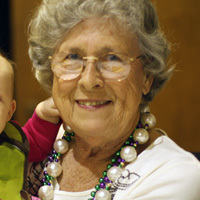 Rollie has been with St. Nicholas for many years and takes loving care of our children. Pianist John Pramik is from Akron, Ohio and has played piano since age 7. He received a Bachelor of Music Degree from Bowling Green State University. He began working at the Interlochen Center for the Arts in Michigan as a staff pianist. Pianist/Keyboardist, John Pramik was on tour with "Broadway On Ice" in January 2014. John performed Gershwin's "Rhapsody in Blue" Concerto for the show. He worked with Davis Gaines from Phantom of the Opera and Ira Lauren, the world famous soprano from Vienna, Austria. The skaters were all professional award winners and real ice was installed on the theater stages for the show. "Broadway On Ice" received all standing ovations at 1,800 seat theaters. John has toured with the Stars of the Lawrence Welk Show and won a Jazz Soloist award in Austria. He also toured throughout the USA & Japan. His CD, Vision, contains original compositions and jazz arrangements of Bach & Beethoven. After moving to Los Angeles, John appeared as a pianist and keyboard artist in TV & Movies: The Medicine Woman, A Match Made in Heaven, The Tonight Show with vocalist Julie Budd, The Truman Show Movie with Jim Carrey, Ed Harris, and Philip Glass and he recently appeared live in the Movie Benjamin Buttons performing ragtime piano as Brad Pitts hands. 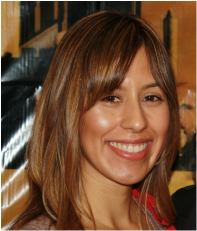 Born in El Salvador, married with two teens, Dalia has a degree in education from the Universidad Pedagógica. Before coming to California, she taught elementary and middle school at Colegio Champagnat and Instituto San José Obrero, which are part of the Corporación de Hermanos Maristas, a private Catholic institution dedicated to the education of children and young people around the world. She also has a Family Counselling Diploma by the Universidad Anahuac in Mexico. Dalia is involved in the life of our Parish, supporting the Rector in regards to the pastoral needs of the Spanish speaking group in the field of religious education. Specifically, she instructs the children in their preparation for First Communion, and assists the clergy with the education of parents and godparents in preparatory classes for the sacraments of baptism and confirmation in the Spanish language. She also counsels couples in Spanish for the Sacrament of Marriage.